One of them, a 13-year-old girl, is believed to be sheltering under a table, officials told the BBC. At least 21 children and five adults died when the primary school collapsed and many others are missing. The school was one of dozens of buildings toppled by the quake. So far 230 people are known to have died. 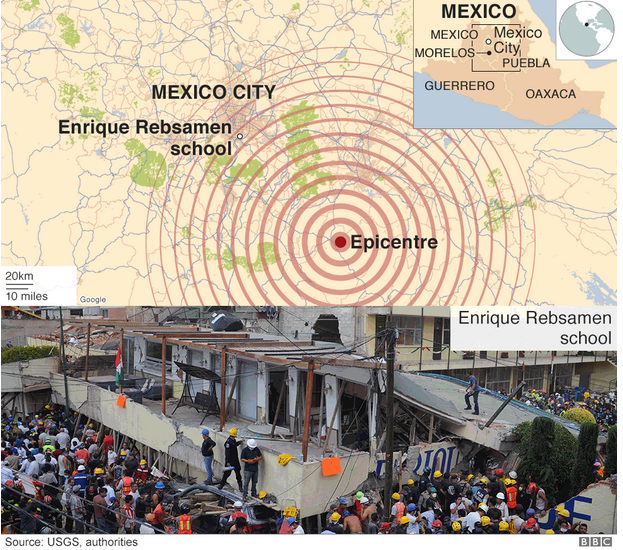 President Enrique Peña Nieto has declared three days of mourning for the victims. 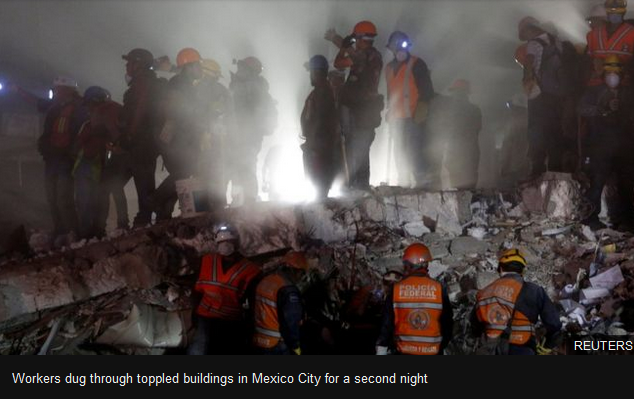 As rescue operations continued for a second night, attention was focused on the Enrique Rébsamen primary school, in Mexico City's southern Coapa district. With anxious parents gathered outside awaiting news of missing children, civil protection volunteer Enrique Gardia announced that a thermal scanner had detected survivors trapped between slabs of concrete. On Wednesday, a trapped girl was detected after she moved her hand amid the debris. Details of the child and her condition have not been given but rescuers have passed food and water down to her. Waiting crowds were frequently hushed as workers listened for sounds of life under the rubble. President Peña Nieto, visiting the damaged city of Jojutla in Morelos state, appealed for citizens to help rescue operations. "It is important for people to be part of this group effort," he said. Schools in the affected states have suspended classes until Monday and all professional football fixtures have been cancelled for the weekend. Offers of help have come from around the world. 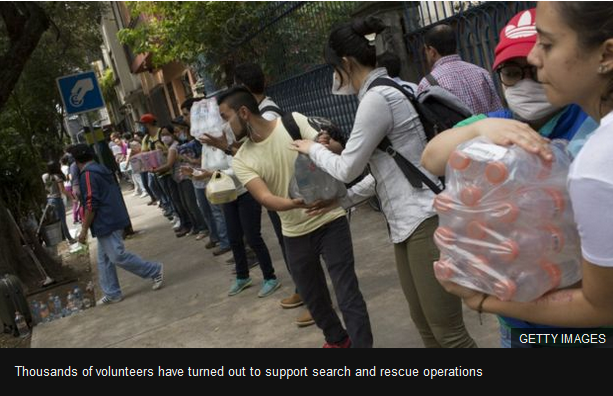 El Salvador and Chile pledged aid while Israel said it would sending a team of rescue specialists. The White House said President Donald Trump had called Mr Peña Nieto and offered search and rescue teams. Tuesday's tremor struck shortly after many people had taken part in an earthquake drill on the 32nd anniversary of a major quake that killed thousands in the capital.